Lockwood and Co. The Hallow Boy by Jonathan Stroud. 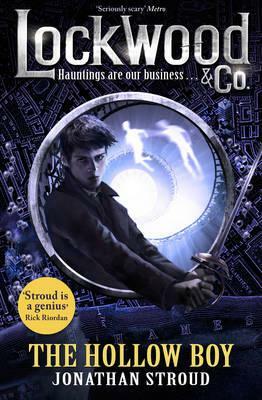 Lockwood and Co. are back with new renewed vigour.London is crumbling to it’s knees.There’s a giant outbreak of ghosts in London and officials are puzzeled by its occurrence. Peaceful type 1 ghosts are becoming agitated and aggressive in this sudden infestation.Nothing at this scale has ever been seen.Every attempt on quenching the threat has been battered back down. What’s more Lockwood and Co. aren’t involved in the attempt on thwarting the threat, ‘only prominent agencies are involved in the daring attempt. Lockwood and Co. have a new member to add to the team. Teen Rating : ‘I just couldn’t put the book down.’ 12+ . 4/5 .